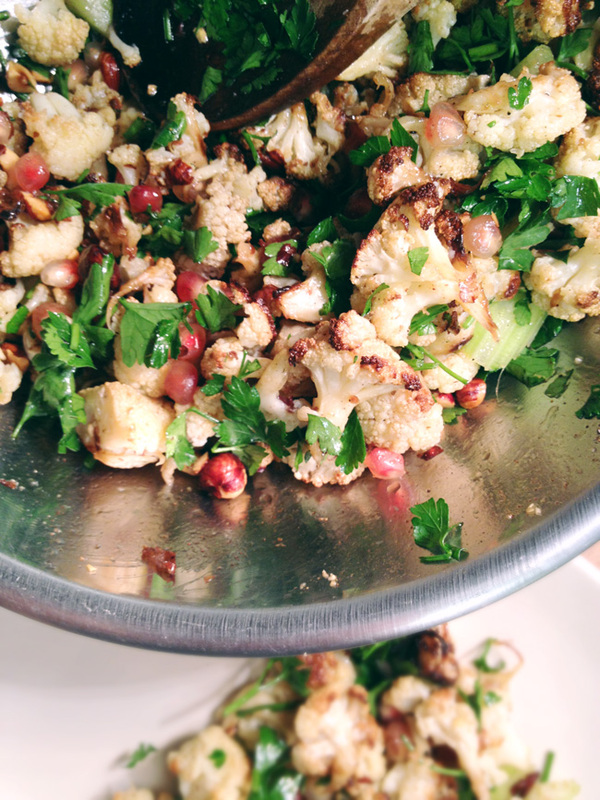 Cauliflower salad sounds weird right? Cauliflower is meant to be roasted, eaten as a soup, gratin or with lots of cheese. The first comment I got was: "Is that all we're having?" - Errrm yes. And of course it was more than enough and truly, mouthwateringly delicious. This salad is pumped full of different flavours and spices and made me long for summer and a barbecue of lebanese sausages, slightly charred lamb chops and spicy chicken thighs. So definitely a must have for the next barbecue. In the meantime it was just as delicious on a weekday evening, as a light meal, with a drizzle of greek yoghurt and some toasted wholemeal pitta, eaten while watching Ripper Street and sipping on some red wine. Pre-heat the hoven to 200˚C. Place the cauliflower florets in a large bowl, and toss with 3 tbsp of olive oil, 1/2 tsp salt and plenty of black pepper. 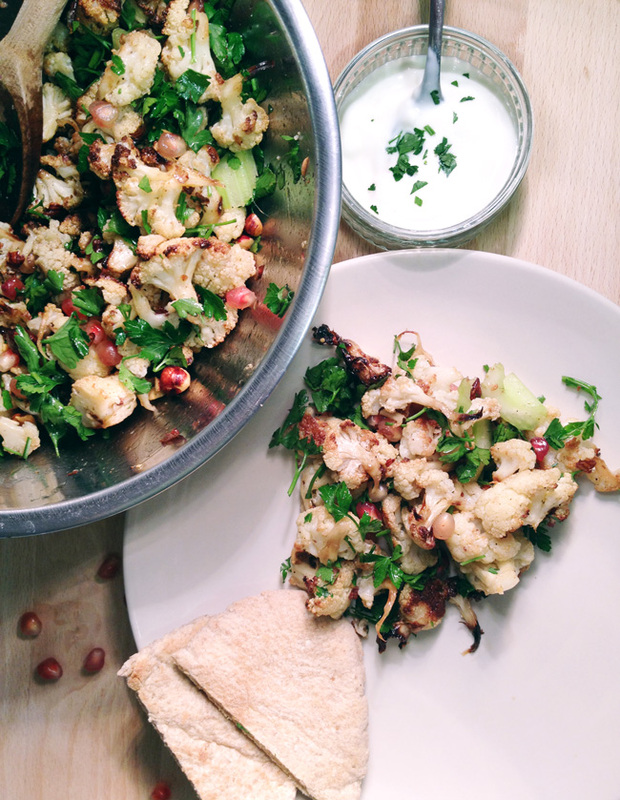 Place in a baking tray and roast for about 25-35 minutes until the cauliflower has crisped and browned. Remove from oven, and return to the large bowl to cool. Turn the oven down to 160˚C. Place the hazelnuts on a baking tray and bake for 15 minutes. Once they're not too hot to touch anymore, roughly chop them discarding any loose skin. Mix all the ingredients together. Taste for seasoning and serve at room temperature. That's it. So easy, so yummy. Oh and of course don't forget to try as a barbecue side... because I will!